This unique design combines a sturdy grab rail with a toilet roll holder. 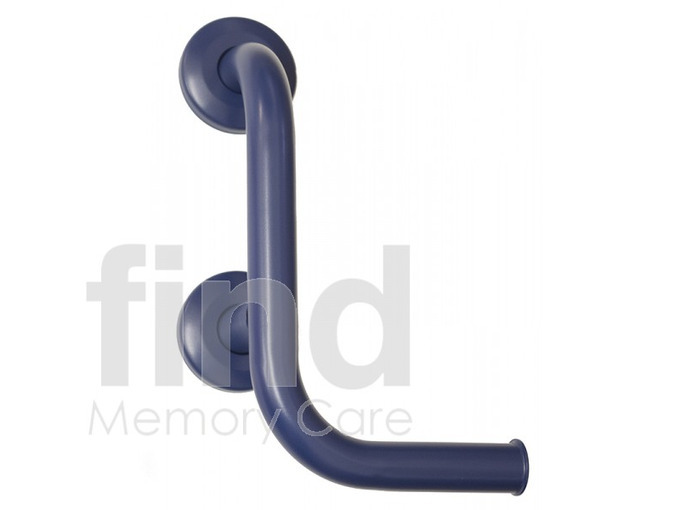 Standard toilet roll holders are often used as an aid to standing up from the toilet, but as they're not designed for this purpose this often leads to damage the toilet roll holder or the wall, or in some cases it may result in a fall. 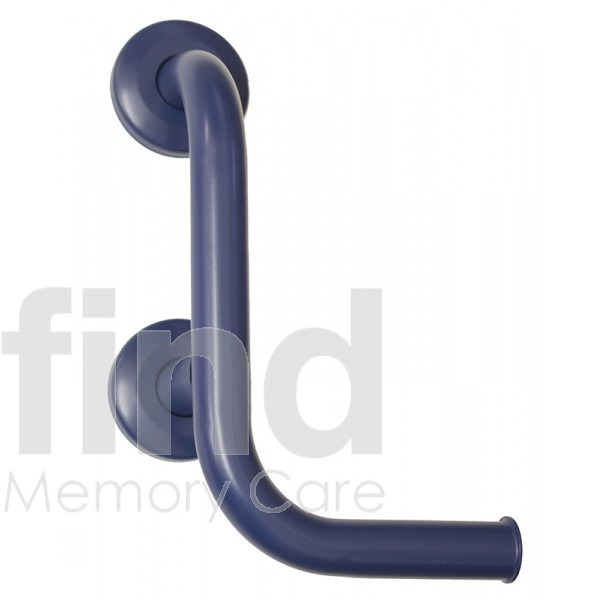 Combining the grab rail and toilet roll holder saves space, locates the toilet roll in a convenient position and provides a suitable point of leverage for getting on and off the toilet..